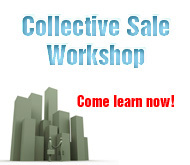 This 2-day workshop course deals with landlord and tenant obligations under the law. Understanding tenancy agreements and the rights of landlords and tenants can help facilitate the leasing process and minimise disputes. Dillon Loi is a qualified lawyer who is called to the Singapore and English Bars. 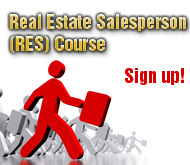 Unlike other non legally-qualified trainers who do not have a sales track record, he is also involved in practical real estate consultancy work. 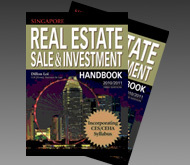 Since 2005, he has consulted on more than $1 billion worth of properties in Singapore via collective sales. Collective Sales he had handled such as the Normanton Park (current), 66 East Coast Road and One Balmoral. (i) You will get an overview of the practical issues that commonly arises in tenancies from a landlord and tenant perspective. (ii) You will be able to understand the key terms in a Tenancy Agreement. (i)You will pick up some practical knowledge about renting e.g. how to calculate stamp duty etc. (ii)You will appreciate some legal pitfalls when drafting/signing a tenancy agreement. 2.2.3 Liquidated damages clause or Penalty clause? 2.3.3 Ending a tenancy and eviction- when landlord wants you to move? If you register and pay for this course before 06/05/2019, you can enjoy early-bird discount!